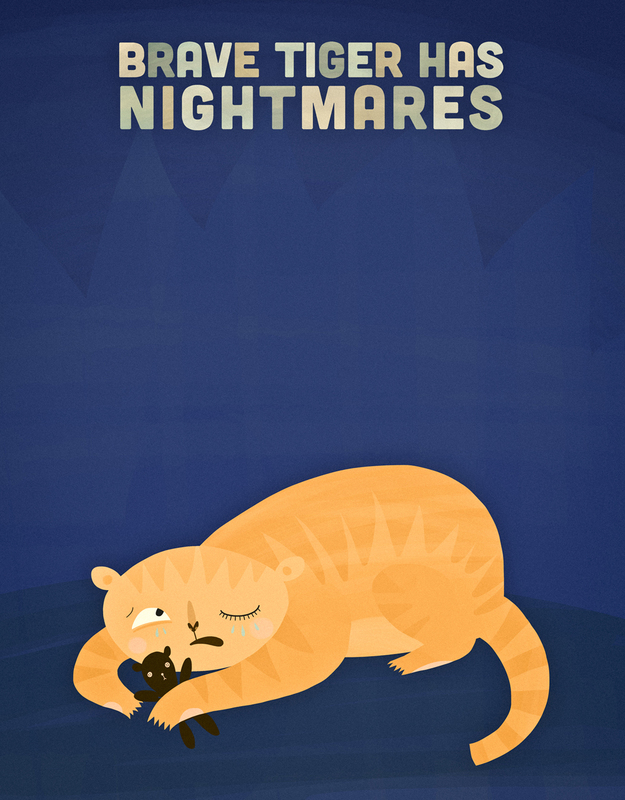 This entry was posted in illustration and tagged brave, brave tiger, illustration, nightmares, teddy bear, tiger by sarahgoodreau. Bookmark the permalink. aaaww. poor big kitty had a bad dream!! Your illustration is so incredibly cute! A tiger sleeping with one eye open and holding a little teddy bear! Sheer magic.